All of our marketing activities incorporate tracking and reporting, ensuring that each action we take on every account we manage is intelligent and based on real data. Read more about our services. We maximize the profitability of your online marketing in accordance with your goals. 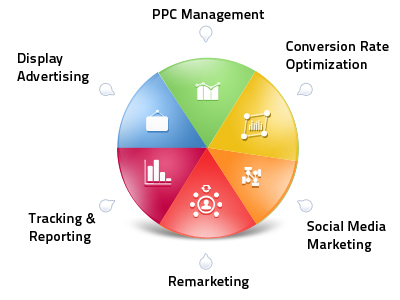 We specialize in lowering your costs, increasing your Click-Through-Rate (CTR), and reducing the cost per conversion. While helping our clients achieve an impressive ROI, we believe in building strong relationships with them, based on honest, professional advice and complete transparency. Working in close collaboration with our client’s marketing managers, we provide professional, personal attention to all their campaigns and quickly get them on the path to a high ROI. We would be happy to discuss any questions you may have regarding our online marketing services. Please don’t hesitate to contact us by email, phone, or Skype. We believe that working together is the key to success. Take a look at what our clients say about us.